I like to bake on the weekends, because Tim studies most weekends and I like to treat him to something he enjoys. I also find baking relaxing and rewarding, so I often end up making something and taking it to work or freezing it. 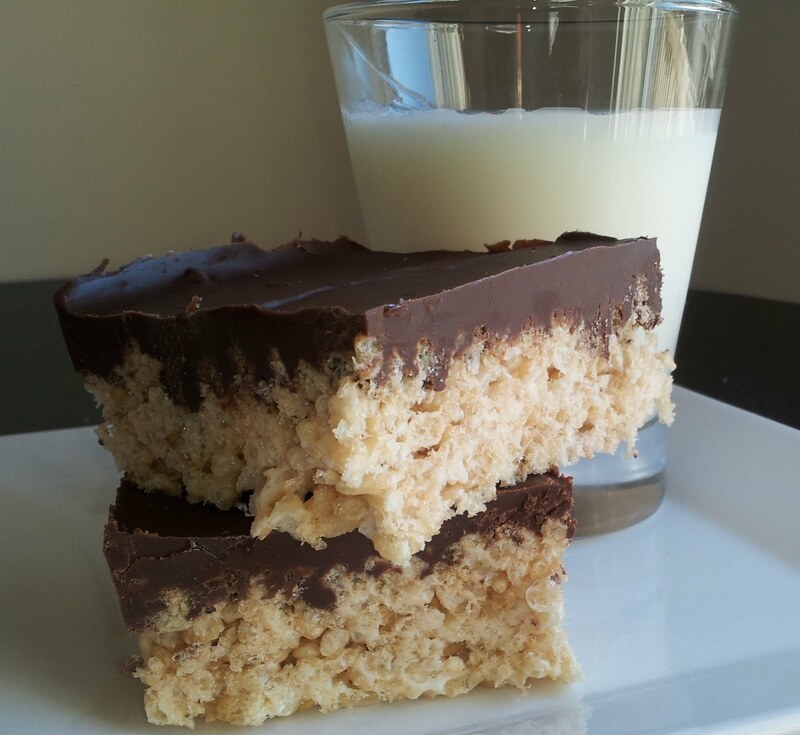 One of Tim's favorite sweets is Rice Krispie Treats. But I'm not content to just make regular Rice Krispies - I could buy those. So I added some of Tim's other favorite flavors: peanut butter and chocolate. Really, who wouldn't adore this combo? These freeze well and also keep in the fridge for a while. In a small saucepan, melt together the butter and marshmallows. Once combined, mix with the cereal, then press into a greased 9 by 13 inch pan. Set aside. Heat together the chocolate and peanut butter, either in the microwave in one-minute increments or on the stove over low heat. Do not overheat. Once incorporated, pour over the prepared krispies and use a spatula to smooth over the top. Refrigerate until firm, then use a sharp knife to cut. Get Thee (and me) to an Aldi!